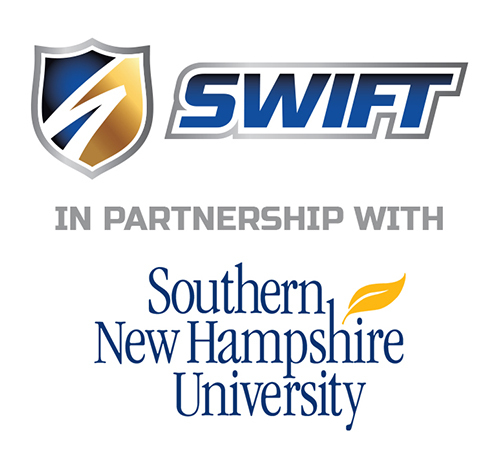 In partnership with Southern New Hampshire University, Swift Transportation is excited to announce an exclusive online degree program for full-time Company Drivers. 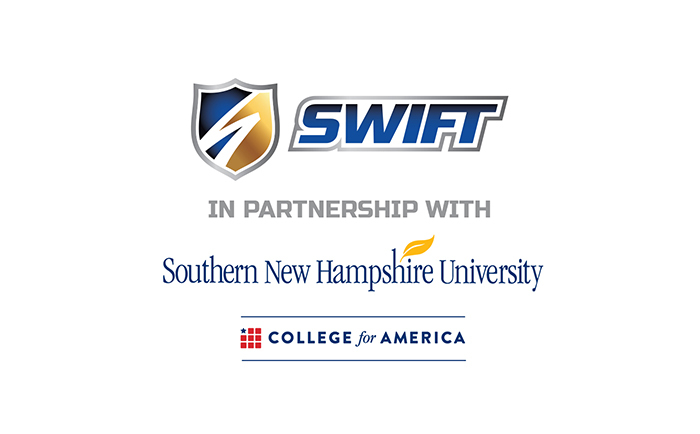 Now, Drivers can earn an Associate's or Bachelor's degree while being employed with Swift, 100% online at their own pace, with SNHU. 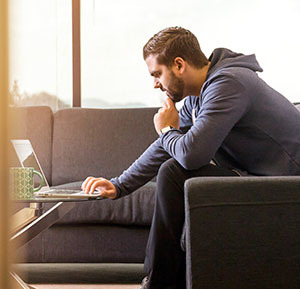 Convenient 24/7 access allows you to advance quickly through subjects and course material. Drivers are able to complete the full degree program all online. Full-time Company Drivers may enroll along with one additional eligible dependent in the program 100% tuition free. Additional eligible family members are able to enroll and self-pay, at a discounted rate, as part of this SNHU partnership. 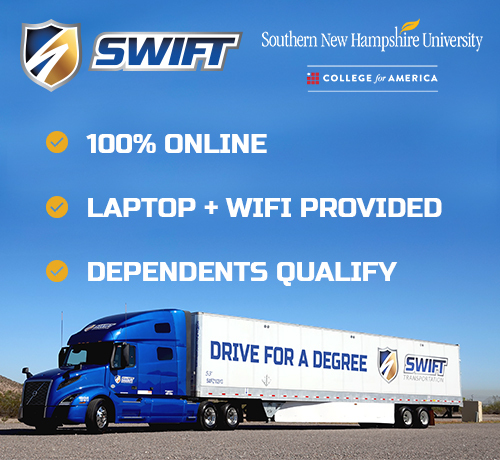 Swift will provide full-time Company Drivers who participate in this program a one-time laptop and monthly wifi (wireless internet) credit. Swift will provide Drivers who participate in this program a one-time laptop and monthly wifi (wireless internet) credit. 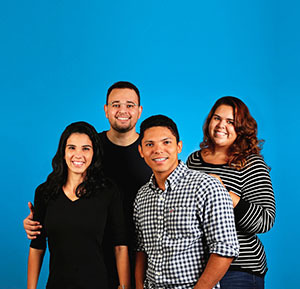 This degree program is a specialized set of degrees that are designed to meet the needs of the frontline workforce with approachable, competency-based learning. If I am not yet a Driver, when would I qualify? External Candidates: Drivers must be employed with Swift full-time (not casual), must complete 200 hours with a Swift mentor, and upgrade as a solo or a team company driver for 30 days and/or 10,000 miles (whichever comes first). Internal Candidates: Once 200 hours with a Swift mentor is completed and 30 days and/or 10,000 miles are achieved, visit Driveforadegree.com, or call 855-764-8232 where an SNHU representative will assist in enrollment and admissions (must posses a High School Diploma or GED). How do I receive a laptop? 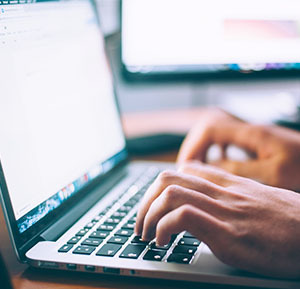 Swift will give you a one-time laptop credit of $500 to purchase a laptop of your choice. No contracts are signed. However, there is an agreement to be signed regarding equipment and Wi-Fi payments, non-refundable deposit, to include understanding of the AZ tax threshold. What happens if I drop out of classes before the end of the semester? If you drop out, student is responsible for the semester they withdraw from. There is no enrollment deadline. Classes start every eight weeks, and Drivers can begin the program in any term. How do I enroll to the Drive for a Degree program? To enroll in this benefit you must be a current driver for Swift. If you would like to apply to become a driver simply click on the 'Apply Now' button. If you are a current Swift Driver contact 888-890-0078. No. All course materials and textbooks are included in the program. There is a one-time, non-refundable, $150 deposit for this program. This $150 will be applied to your graduation fee at SNHU. How much is tuition for this program? Our Company Drivers and One dependent are 100% tuition free. To add additional dependents and self-pay at the discounted rate please contact your SNHU recruiter to discuss payment details at 888-890-0078. DRIVE TO A DEGREE TODAY!